Huge Savings Item! Save 11% on the Langnese Country Creamy Honey, 17.6oz Glass Jars (Pack of 10) by Langnese at Good Time Donuts. MPN: 987504. Hurry! Limited time offer. Offer valid only while supplies last. 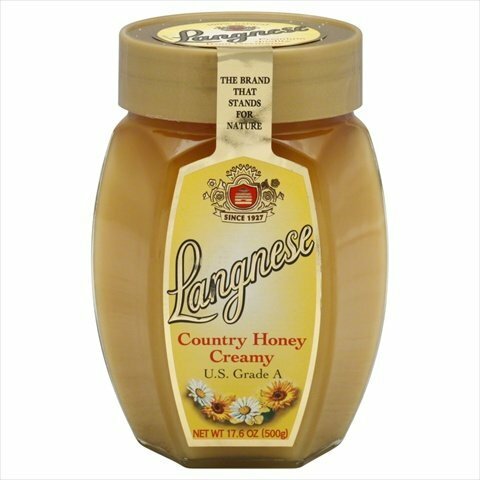 Langnese Country Creamy Honey, 17.6 Ounce -- 10 per case. Lagnese country is honey creamy golden honey made from the best selected sunny landscapes. If you have any questions about this product by Langnese, contact us by completing and submitting the form below. If you are looking for a specif part number, please include it with your message. Just Mayo Premium Light Mayonnaise, 1 Gallon -- 4 per case. Sue Bee Honey Spun Honey, 16 Ounce -- 12 per case. Pam Coconut Oil Cooking Spray, 5 Ounce -- 12 per case. Wee Bee Super Naturally Raw Honey, 1 Pound -- 12 per case.